In 3-quart saucepan, heat oil over medium-high heat. Add turkey and poblano chile; cook 5 minutes, stirring occasionally, until turkey is no longer pink. Stir in water, chile pepper powder, beans and salsa. Cover; heat to boiling. Mash beans slightly with potato masher until soup is slightly thickened. Garnish individual servings with cheese. 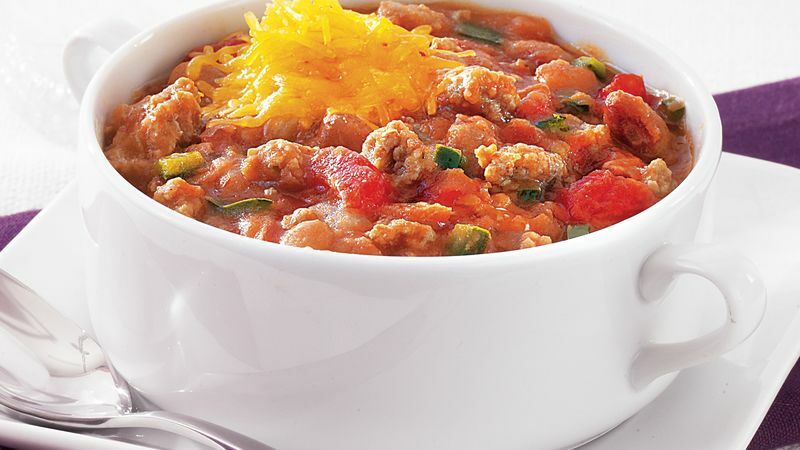 Add heat and smokiness to this robust chili with a hint of chipotle chile pepper powder. This Southwestern seasoning is made by grinding smoke-dried jalapeños into a powder.